Home Made Kazoku debuted May 2004 with Ki/oon Records / Sony Music Entertainment Japan Inc. and won acclaim as the best upcoming artist of the year on the Japanese music scene. MICRO is widely referred to as a ‘soul rapper’ because of his husky, powerful voice. KURO adds a deep, whispering rap which gives life to the lyrics. Combined with U-ICHI’s DJ skills, their positive, heartwarming music has entranced many listeners’ ears. Large, medium, small. Vocalists Micro and Kuro are originally from the United States. MICRO spent a part of his childhood in Kentucky, while KURO lived in Chicago until he was 12. Their first full-length album, Rock the World, achieved #5 on the Oricon national chart, with over 300,000 sales, and spent an amazing two months in the Best 20s. 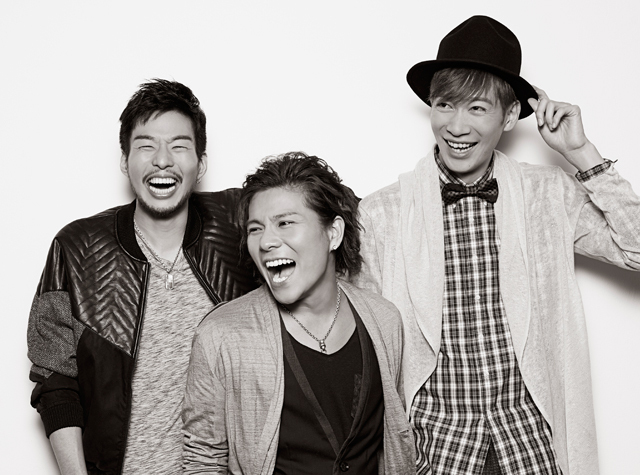 Home Made Kazoku created a buzz with their tracks featured as theme songs on many hit anime series, such as Eureka Seven (“Shonen Heart”) and NARUTO (“Shooting Star”). Their third album, Thank You! !, hit #5 on the Oricon chart. Following their fourth album, Home, which included the lead track “No Rain No Rainbow” (the theme song of NARUTO SHIPPUDEN the Movie: Bonds), Home Made Kazoku headlined their first tour in Japan, including a sold-out show at the Budokan in front of more than 10,000 fans. They also took their show overseas to the US (Otakon 2010) and Taiwan which ended up being great successes. They host an annual music festival, held for the third time this year in October, called Kazoku Fes.2012. Along with their announcement of their comeback to Otakon in 2013, Home Made Kazoku just released their latest album 3RISE on January 1, 2013 for all their overseas fans.